With VS Water Blasting, you can rest assured that you will have the best solution for your particular cleaning problem, performed by the best industry professionals. 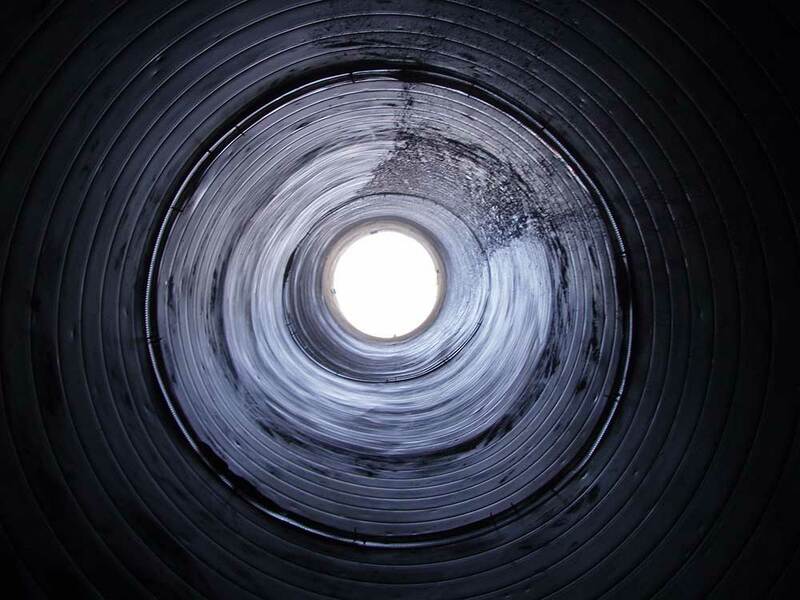 Our basic services often require a confined space entry in order to complete our work, and all of our operators are confined space trained to give you the peace of mind you deserve. We work with you to ensure that you are comfortable with our OSHA-compliant processes as well as any company specific nuances that you may have, and then we get to work providing you with a custom solution for your unique cleaning needs. Hands-free high-pressure water blast cleaning for tube bundles. The positioner is operated from a remote-controlled unit with the operator out of the danger zone. This is the safest means available for tube cleaning! Our automated tube cleaning system runs in and out of the tubes under pressure from end to end in both directions to provide you with the most efficient method of cleaning tubes. Our automated tube cleaning system coupled with our wide array of specialized nozzles will provide fast, consistent cleaning power to each and every tube. If it’s in the name of the company, we must be good at it! Water Blasting is clearly one of our primary applications, and our stable of 10,000-psi units and a 20,000-psi unit are all available to help you. 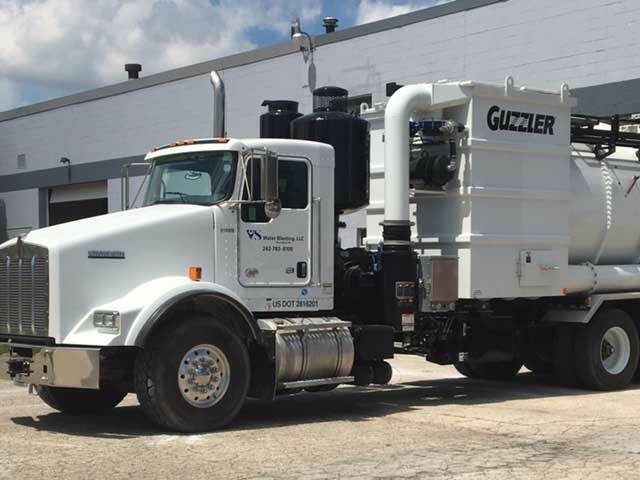 In addition to our impressive fleet of water blast units, we have all of the equipment and accessories necessary for successful cleaning projects. Got a tank that needs to be cleaned? We can clean it! Got a plugged process line experiencing restricted flow? We can open it! 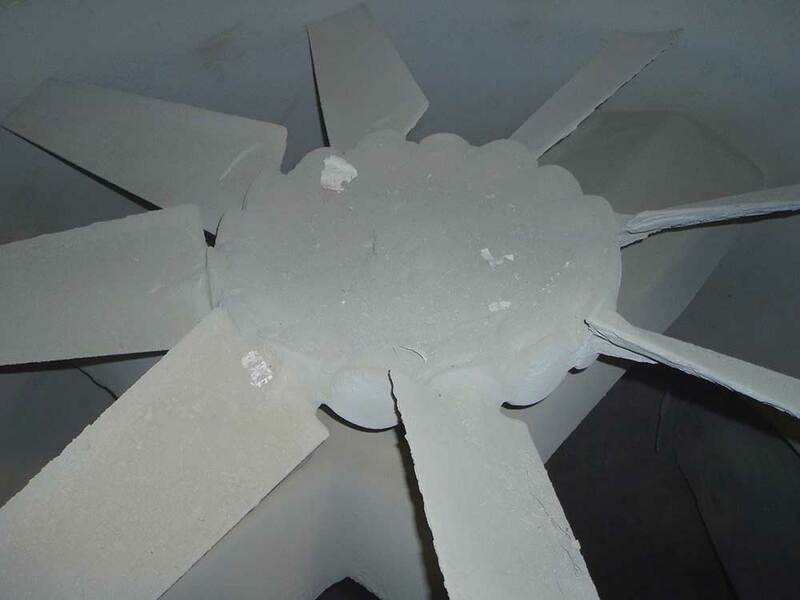 Need something prepped for paint, and sandblasting isn’t a viable option? We can do it! 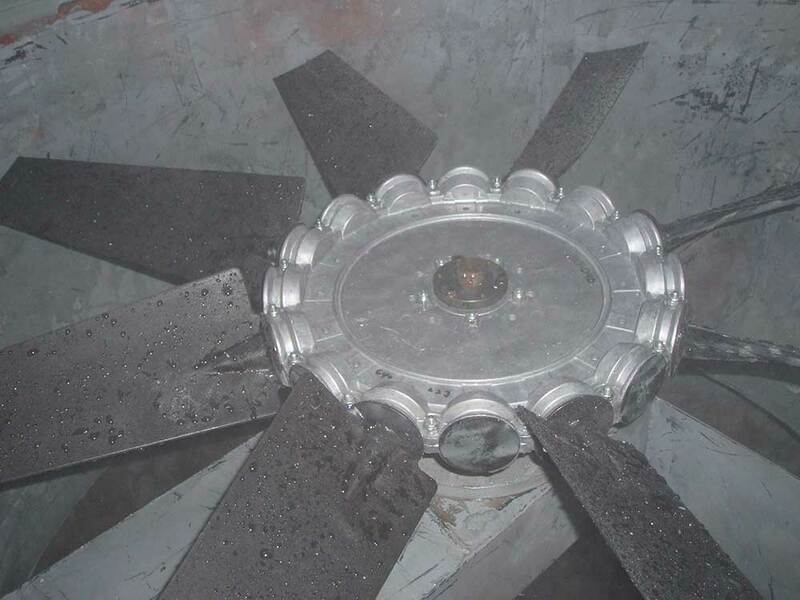 You might be surprised at the different ways water blasting can work for you. A water blast gun is exactly what it sounds like. Our operator pulls the trigger on the gun, unleashing the high pressure water stream out of the gun barrel. We can direct the high pressure stream directly to the surface that needs to be cleaned. A combination of pressure up to 20,000-psi and up to 30 gpm, coupled with an array of different types of nozzle tips, allow us to tweak our process to whatever combination works best for your specific situation. Some common applications for gun work include tank cleaning, fan cleaning, paint removal, gelled reactor cleaning, wall or floor cleaning, duct cleaning, and more. We have multiple, high pressure lances with a variety of flexibilities to clean the inside of pipes or tubes. 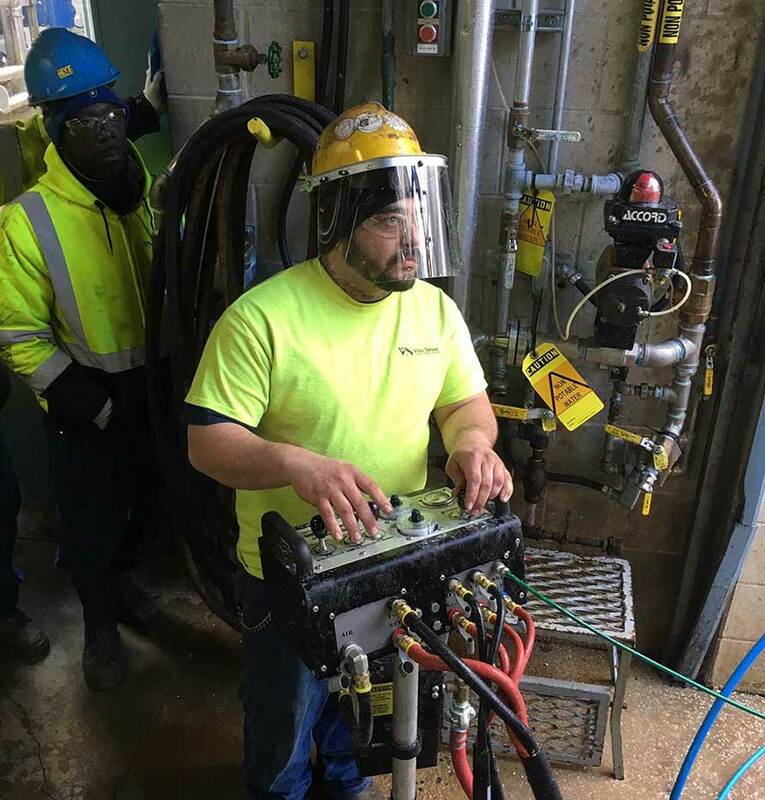 As long as we can gain access points to get into the pipe, we can clean it—keeping the pipe in place—to help you get back into production quickly. In addition to pipe cleaning, we also clean many different types of tube bundles including condensers, evaporators and heat exchangers. 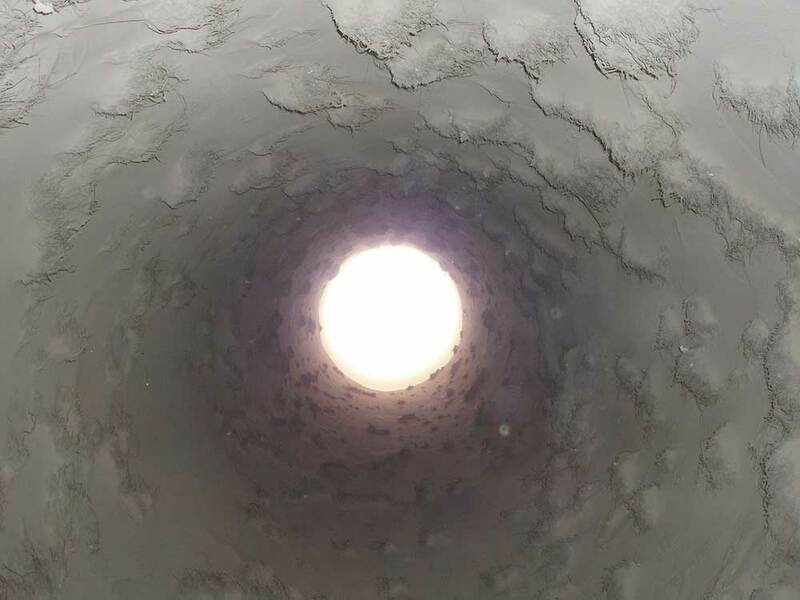 We have a 3D tank cleaning nozzle to clean the inside of many tanks, silos and boilers. The 3D nozzle gives us 360 degree coverage, without having to perform a confined space entry. But don’t worry – if we can’t provide 360 degree coverage, our operators are confined space trained, so we will get the job done safely and professionally. Our vacuum services are an efficient way to move a considerable amount of material in a short period of time. Our high mercury trucks can remove loose material on their own, or work in conjunction with our water blasting or water jetting services if extra power is needed to clean up problem areas. 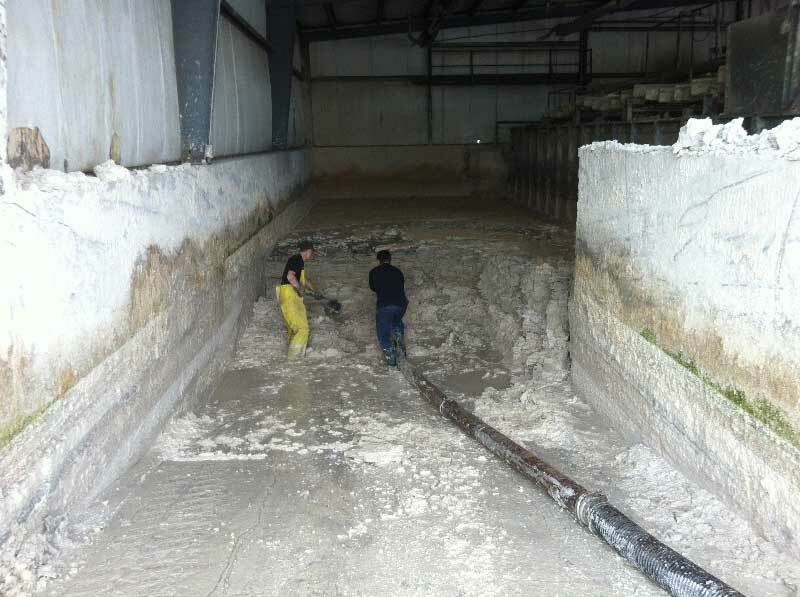 We specialize in cleaning up spills and can convey heavy materials. Our water jetting services are typically used to clean large diameter pipes such as those used in mainline sanitary and storm sewer systems. Our jetter unit, which has a higher flow rate and lower psi than our water blast unit can remove loose debris or deposits in up to 1,000 feet of pipe from just one access point. The services listed are just the tip of the ice burg when it comes to how our capabilities may creatively be used to serve industrial cleaning needs in a wide variety of industries. Call us and talk about your problem area and we will work with you to come up with a cost effective solution to get you back to peak operating efficiency and performance. N48 W22953 Commerce Center Dr.